Surf Club. Math Club. Homework Club. Art Club. Pony Club. Culture Club. Chess Club. We’ve got those, and more. Throughout the year, students participate in a wide array of clubs and activities that enhance the educational experience at Ojai Valley School. Traditional activities include Yearbook, Chorus, and Student Council. Those meet regularly throughout the year. Middle and elementary students have the opportunity to participate in the OVS Orchestra. High school students support the Culture Club, which celebrates student diversity on campus. They can join the journalism program and write for the award-winning student newspaper, On the Hill. Other offerings include performing with the Spud Factory comedy troupe, Surf Club trips to the beach, afternoon knitting and cooking activities, game time, and weekend activities. The Outdoor Education program offers a variety of weekend trips and activities. 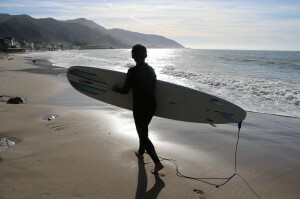 Recent weekend trips include Ventura surf fishing, San Ysidro rock climbing, Mt. Pinos mountaineering, Gold Coast kayak camping and surfing, Upper Campus Ropes Course, River Preserve equestrian trail rides, Mammoth Mountain skiing and snowboarding, and a Matilija Waterfall day hike. For younger students, other activities include After-School Clubs for students in grades PK-6. Students can sign up for new activities each week.